The holidays are right around the corner, and I don't know about you guys but I am ALL ABOUT shimmery and shiny decorations and gifts. There's just something about a little glitz and glam that makes the holidays special, you know? 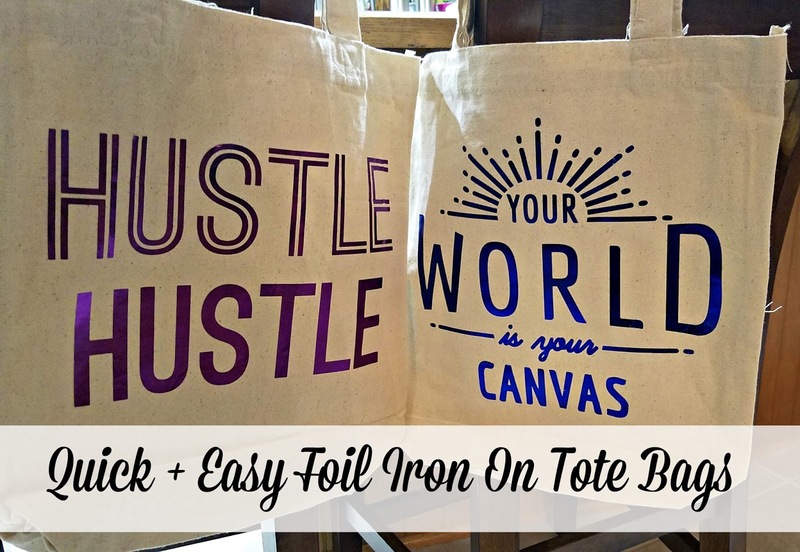 These foil iron on tote bags I made are gorgeous, easy, and quick gifts for teachers, kids, family members, neighbors, casual acquaintances, dog groomers...you get the idea! YOU GUYS! 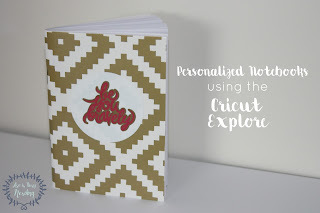 Cricut made a brand new Explore Air and it is GORGEOUS and FAST and wonderful and I am in love all over again. Here's the video of me unboxing the new beauty! Be warned, Albus makes a few appearances and my head gets in the way a time or two but mostly I gush about how wonderful this machine is because HELLO, GORGEOUS. Oh yeah, I say "gorgeous" about 20 times, too. I'm not sorry. 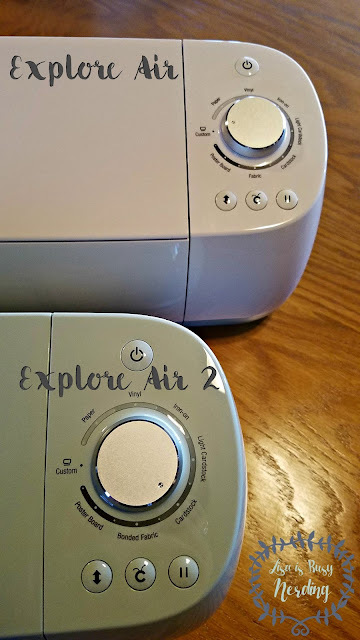 Here's some still shots of the new Cricut Explore Air 2! The dials are very similar. A little difference between "fabric" and "bonded fabric" with terminology, and the dial on the Explore Air 2 feels maybe a little closer to the machine - less popped out - and sleek. 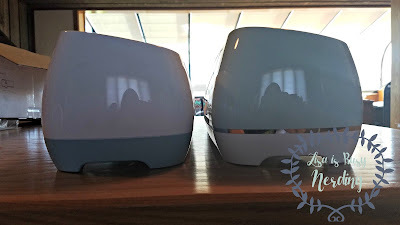 Here's a side by side highlighting the new design features on the outside of the Cricut Explore Air 2! Like I said in the video, the lighting really doesn't do the pretty mint color of my machine justice! And that gold band is just a fun pop of sparkle! SO. PRETTY. 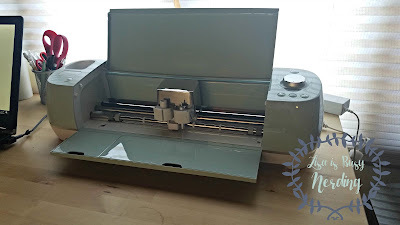 Here's the inside of the Cricut Explore Air 2! The cutting head is chrome (shinyyyy), but otherwise looks quite like the Explore Air. The biggest upgrade though is the ability to cut 2x as fast! It's actually really incredible and does an amazing job (blog post about that to come), but you can decide if you want to do the quick cut or the standard cut with each project. Holla! Faster cuts = more projects! 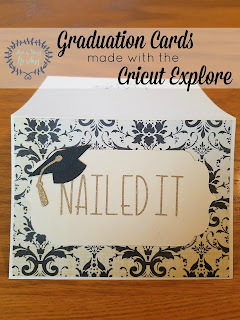 For more info on what makes the Cricut Explore Air 2 such a special new Cricut machine, here are a few links to the Cricut website that give you way more details in a way more concise way than I can manage. I'll be sharing more blog posts about this new machine in the next few weeks. But in the meantime, happy crafting! Graduation season is upon us! Okay, it has been upon us but I'm just really late in posting this. Maybe blame it on all the graduation parties? I cannot - CANNOT - get enough of those buttery sugary mints. So, so good. The good news is that I did in fact make graduation cards in time to give them to actual graduates this year. The bad news is that I didn't get around to posting this in time for anyone else to make these this year! But, more good news! Graduations happen every year, so you'll be set for next year! 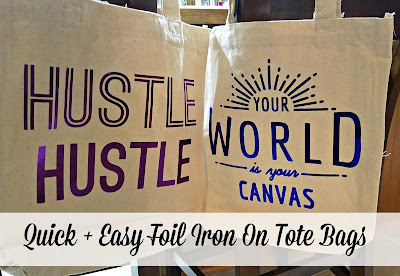 Whether you buy every single gift from a store or if you make every gift you ever give (if you do this, teach me your ways), adding a bit of something homemade adds that little something extra special, you know? BUT WHAT? Notebooks, of course! 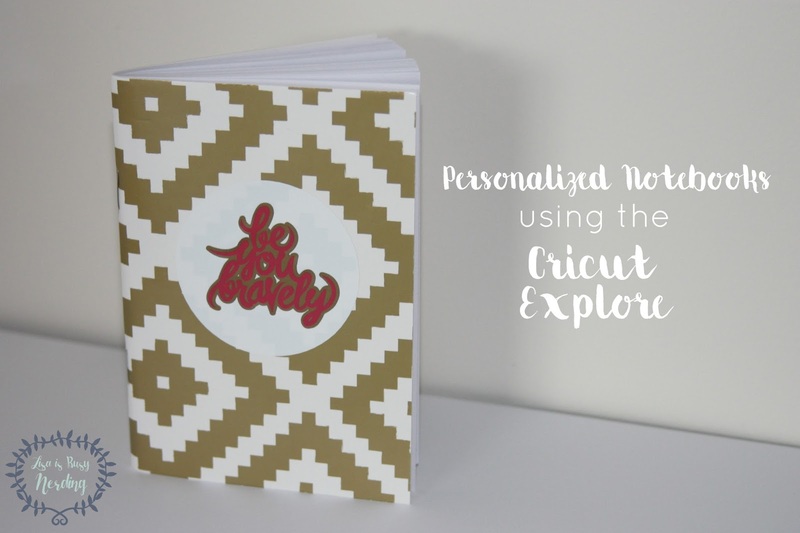 You can make these personalized notebooks in minutes and for just about any occasion! Cricut Design Space Subscription has been updated to Cricut Access and become even MORE user friendly, MORE features, and MORE THINGS! EXCITING TIMES! 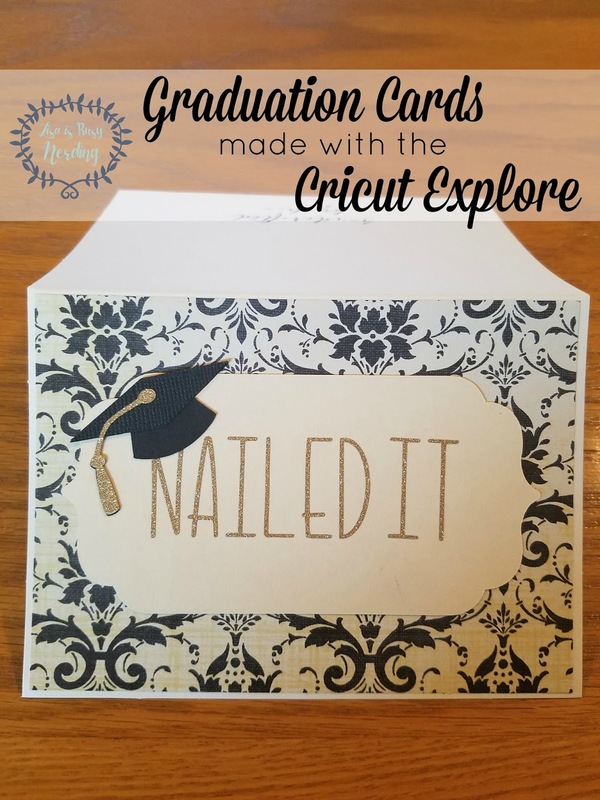 Click on through to see what's new with Cricut Access! 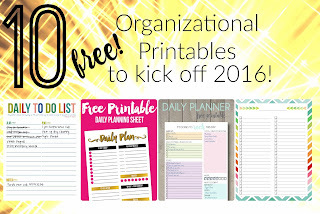 This continues my series of Favorite Organizational Tools! In case you missed the earlier posts, you can check out my love for Remember the Milk and for my Foxy Dori and friends. I LOVE ORGANIZATION AND LIST MAKING SO MUCH, YOU GUYS. So much so, in fact, that I have not one, but TWO planners. Which if you know anything about the planner community is NOTHING, but if you're new to the planner game, seems excessive. The reality is I bought an Erin Condren Life Planner for my personal use and loved it SO MUCH I wanted to get another planner for work. But then got to wondering if an ECLP was the right fit for my work needs, so did a little more research and decided on an Plum Paper Planner. The Erin Condren Life Planner and the Plum Paper Planner are SO SIMILAR in so many aspects that it can be pretty hard to decide which might fit your needs best. But don't worry - I got you. Check out my latest video comparing the two planners! 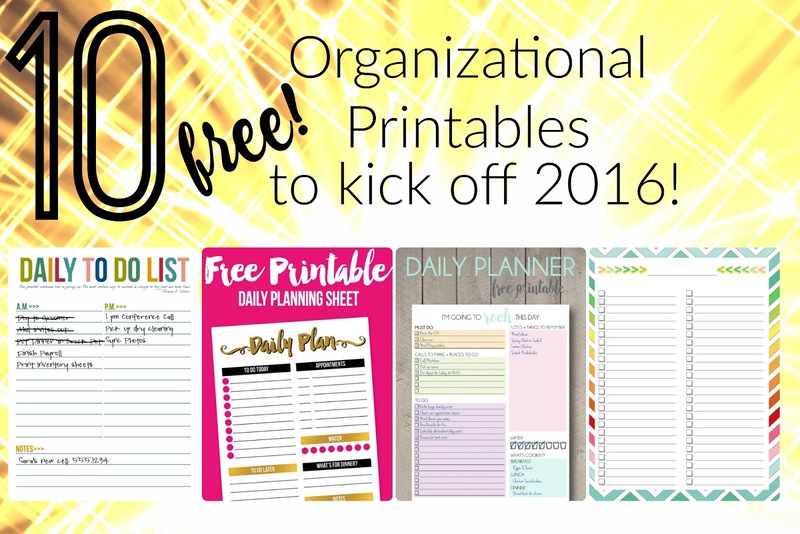 10 Free Organizational Printables to Kick Off 2016! Oh you guys, where did 2015 go? It's time to start looking forward to 2016 and making Big Plans and setting Goals and Resolutions and making ourselves better! And maybe reflecting upon 2015 a bit too. This kinda fits in with my Favorite Organizational Tools Series, but also is a nice way for you to dip your toes into the free printables water if you haven't already. There's an embarrassment of riches out there if you just know where to look. And lucky for you, I do! I LOVE LISTS AND JUST WANT YOU TO LOVE THEM TOO, OKAY?! I absolutely adore reading. Mostly, I adore reading Young Adult literature! Like most of us, I get my book recommendations from friends and researching them on Amazon or Goodreads. Sure, every once in awhile I'll impulse buy a book from a brick and mortar without ever hearing about it, but mostly I want to I want a recommendation I can trust first. Great news, everyone! Theo (my 2 month old) is FINALLY starting to sleep a little bit longer at a time. Which means things are happening! Laundry is getting done! Dishes are getting washed! 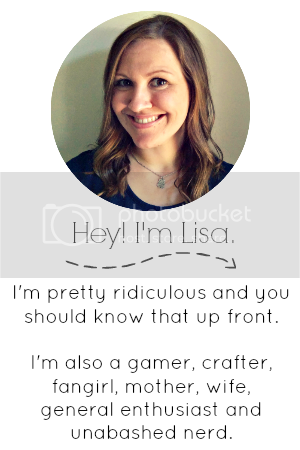 Blog posts are being written! Floors are still unswept and un-mopped because hello no thank you. This also means that I'm finally able to shift my attention towards Christmas and the crafty goodness that goes along with it. I can bust out my washi tape, my glittery paper, and fire up the Cricut that surely was developing some sort of separation anxiety from me after being unused for so long. I slowly dipped my toes back into the crafting waters with these insanely easy and elegant Christmas Gift tags. Let me show you!